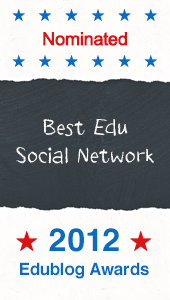 Here is a list of Inevitable Betrayal guild members who were finalists for Edublog awards as individuals or a part of an organization! Inevitable Betrayal is part of the G.A.M.E. Global Network of Educators. ISTE SIGVE was named in the top five! SIGVE members: Lori Gallo, Abacus Capalini, Tanya Smedley, Izzylander Karu, Kavon Zenovka, Jerry Buchko, Lyr Lobo, D'lightful Doowangle, Frankie Antonelli, LeeDale Shepherd, Bluebarker Lowtide, Morales Resident and Lyr Lobo. Advisory Board Members: Chris Luchs (Cheerwine), Tanya Martin (Justgrid), Barbara Truman (Beliri), Francesca Yonekura (Quasari), Cynthia Calgone(Adeux) and Joseph Doan (Notalemur). Inevitable Betrayal Organizers: Larry Cocco (Buranaut), Chris Luchs (Cheerwine), Kae Novak (Maskirovka). Tanya Martin (Justgrid), Mellody Collier (blessurheart), and Joseph Doan (Notalemur). Larry Cocco (Buranaut), Chris Luchs (Cheerwine), Kae Novak (Maskirovka). Tanya Martin (Justgrid), Mellody Collier (Zarr), and Joseph Doan (Notalemur).